Special items stall holders will be selling at the market. The new 2016 /2017 Melbourne Entertainment™ Memberships are available now and packed with thousands of up to 50% off and 2-for-1 offers. 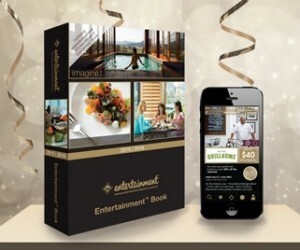 This year you have the choice between the Entertainment™ Book Membership and the new Entertainment™ Digital Membership! From every Entertainment™ Membership we sell, 20% goes towards general fundraising! The more Entertainment™ Memberships we sell, the more we raise – so please forward this email to your family and friends! The new 2015 /2016 Melbourne Entertainment™ Memberships are available now and packed with thousands of up to 50% off and 2-for-1 offers. Baltic Pine Double Bed Headboard. Weathered. Use as is, or re-stain/paint. $25 Includes brackets. Contact Market Manager. Full sized, aged copper and brass replica diving helmet. Expressions of Interest invited. Make comment or bid on market facebook page.